"It was around 8 pm. 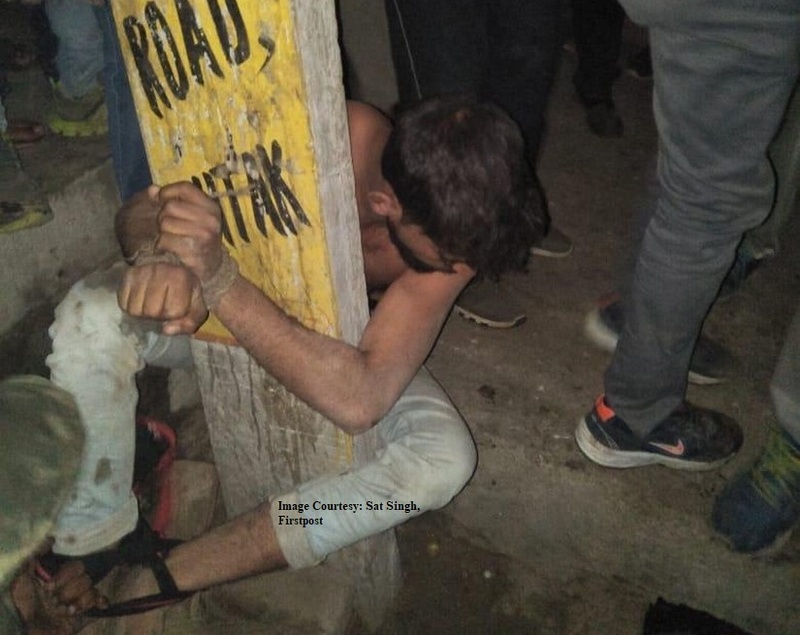 We had reached Rohtak's Bhalout village when I was waylaid by one Jashpal Gumana, who had chased me his scooter," Naushad said, adding that Gumana overpowered him as soon as he got off the pick-up jeep he was in and shouted "cow smuggler" to attract the attention of nearby villagers. Sunil Kumar, who runs a dairy at Charkhi Dadri village in Haryana, said Naushad had worked for him for the part 10 years. "I had hired him to sell buffaloes at a cattle fair. We run our livelihood through this trade. On 19 January, too, he was ferrying a buffalo and two calves, not cows, as the cow vigilante groups alleged," Sunil said. Soon after, several youths arrived with sticks, tied him to a pole, stripped him and beat him mercilessly. "Before I could understand what was going on, I was bleeding from the nose, ear, legs and back. One of the cow activists tortured me by burning a beedi on my skin and branding me a 'cow smuggler'," he said. perpetrator Organizational Right Wing Hindutva Was cross FIR filed Yes :police have also booked Naushad and his two aides under Section 11 of the Prevention of Cruelty to Animals Act, 1960, and under the Haryana Gauvansh Sanrakshan and Gausamvardhan Act, 2015, on Gumana's complaint, Mor said. judgement Reference other information Advocate Rajkumari Dahiya said Naushad was in a half-conscious state when they reached the police station, and the accused, Gumana, was sitting on a chair, having tea with the police.